A fellow beer blogger named “Ding” recently complained on Twitter that there are few (if any) good beers under 5% alcohol by volume (ABV) readily available in America today. I disagreed and said there are plenty of good sub 5% beers, you just have to look a little harder for them. Ding is a British ex-pat who’s used to seeing session beers on cask in every corner pub back home. So, for him to be used to smaller beers is nothing unusual. Pedantically arguing with him over beer is as productive as arguing with a wall. However, this time I think I can make a pretty compelling case, or at the very least turn it into a good blog post. I’ve kept an Excel spreadsheet of every beer review I’ve written in the last five years (just over 1,000 at this point) and used it to compile this list. I was surprised how many beers I’ve rated pretty highly that were under 5% ABV, many of which I want to revisit soon. • Only beers I’ve actually had are eligible. • The beer must be fairly widely distributed, so brewpub-only beers and those sold only in one state aren’t eligible. • It must be 4.9% ABV or less, but doesn’t have to be a “session beer” per se. • Ties are allowed, but only if the beers are of the same style. • Brewer is irrelevant. Macros and craft are equally eligible. NOTE: Most descriptions are excerpted from my reviews. Click on the links to read the full review of each beer. I don’t think I’ll ever find a standard all-malt pilsner that will blow my mind, but finding one that’s just plain good is a rarity that I appreciate. That’s Tröegs Sunshine Pils in a nutshell: a true pilsner that’s flavorful and highly drinkable; and that’s good enough for me. There’s a slight starch or cracker-like flavor throughout the palate. Also riding shotgun is a dry bitterness, the kind found in old world pilsners. I taste a subtle lemon character on the back end, which makes for a nice change of pace and adds some hop flavor without distracting from the main palette or deviating from the style. When it comes to Irish Dry Stouts the name Guinness always comes to mind. However, I always preferred Beamish among the big three nitro-charged lightweight stouts. Many people naively believe Guinness and these type of beers to be big and heavy, bust most have the same ABV as Bud Light. Beamish is remarkably sweet and complex when compared to Guinness (Murphy’s is too, but to a lesser extent). O’Hara’s isn’t as well-known as the others, but has a little more stout flavor to it with roasted barley and coffee notes (but isn’t nitro-charged). None of these beers really excite me, but they’re easy to drink and satisfying – especially if you don’t have any other options. While plenty of breweries of all sizes from around the United States have made fruity wheat beers (especially for summer), Delaware-based Dogfish Head decided to make a truly unique beer with Festina Pêche – an American take on the Berliner-Weisse style. It’s an overtly sour beer as soon as it crosses the tongue. The sourness is rich enough to notice, but mild enough to easily tolerate. This beer is literally made with peach juice, and there is something of a peach, apricot and white grape taste to the palette. The body is thin, slightly watery, and finishes extremely clean (the sourness lingers for only a moment or two, but I find it quite pleasing). Usually, I’m not a fan of honey, but combined with the chamomile and the natural banana-bread flavor of the wheat, it makes for a great combination. The flavor and aroma go hand-in-hand in creating for a sweet, pie-like palate – similar to the syrup and crust of an apple pie rather than the apples themselves. Slight cinnamon notes provide the palate with some zip, but the honey sweetness dominates. There’s a mild citrus taste in the finish, but next to no bitterness. The sweet taste isn’t cloying and the relatively flat, thinner body makes for a comfortable mouthfeel and super smooth finish. When compiling this list I realized that Samuel Adams has brewed quite a few good beers under 5% ABV. This is a great “transition beer” for macro drinkers looking to get into craftier, more robust styles without sacrificing the familiarly of lager. Though I’ve always said this beer could be mistaken for a pale ale if drank blind. You don’t encounter too many lagers with this much flavor, especially when it comes to hops. It drinks like a heavier beer than it actually is, which makes its relatively light weight all that more impressive. A great go-to beer when you’re at a venue with no craft options. I had this beer on tap and it was as robust as many imperial stouts, but when I tried the home version it was quite different. It’s a porter in pretty much every aspect. Mild, toasted dark malt through the palate with sweetness in the background the entire time. Minute taste of dark fruits, but nothing not found in most other porters. The finish is what gives the beer its uniqueness with a burst of vanilla flavor and a quick kiss of bitter dark chocolate. These candy flavors linger momentarily, but then the palate fades away cleanly. Get it on tap if you can, but the bottle is pretty satisfying, too. I thought for sure some of my favorite German hefeweizens and dunkelweizens would make this list, but in researching it I realized all the good ones are over 5% ABV and thus weren’t eligible. However, I did find plenty of good witbiers (or “Belgian Whites”) that qualified with Blanche de Namur being the best of them. The beer begins with a noticeably fizzy, slightly lemony taste. Nothing tart, but a dry candy-like sweetness (think Smarties or Sprees). Orange begins to come through towards the second half with a strong burst of licorice on the finish. As it warms, I begin to notice the licorice at the beginning as well. It’s amazing how well it blends with the palette as it seems totally authentic and is not cloying. This is a really tasty, enjoyable beer. I’m surprised it’s not more popular around here. British pub-style beers are rarely my first choice, but when I have a good one I’m always pleasantly surprised by how much I like it. This is true of a lot of beers, but only a few that qualified for this list (the Brits make >5% beer too, Ding!). As for Fuller’s London Pride it’s pretty much the epitome of the English-style pale ale (as far as I can tell). The palate is remarkable in that it’s so authentically flavored, but not over the top. It begins with a sweet, slightly acidic flavor much like apple juice. Its accompanied by caramel and toffee notes – making for a delicious candy apple palate overall. It doesn’t change much from beginning to end, although there is slightly dry, biscuity malt component throughout the second half. The bitterness is noticeable, but tame. The finish returns to the apple flavors and leaves a pleasant, subtle aftertaste of fruit. I’m sure I’m going to take a lot of heat for including these beers so high on my list. I don’t care, I really enjoy these beers. To me, they’re basically liquid Jolly Ranchers – a delicious mixture of fruit flavor, sweetness and tartness. A lot of Belgian beer nerds chide these for not being authentic lambics since they’re brewed with added sugar (and some allege they’re brewed with fruit juice or natural flavoring and not actual fruit, but I’ve yet to see any definitive evidence of this). So while these beers may not drink like most “beer,” they’re quite tasty and light bodied. Their ABV ranges from as low as 2.5% for the Framboise to 4.75% for the Faro. 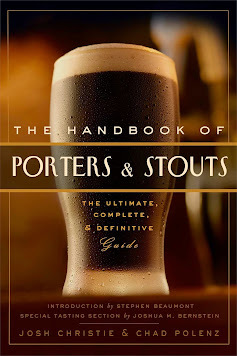 I find them to be great educational tools for showing non-beer drinkers what can be done with beer. They’re also quite drinker-friendly because of their candy-like taste (and the fact most people like fruit). Some may find the sweetness and/or tartness cloying, and that’s understandable. There are more refined lambics available, though they’re quite expensive, rare and too heavy in alcohol to qualify for this list. We Americans sure love our India Pale Ales, but they tend to be on the bigger side (>6%). Isn’t there a way to get the hop flavor and bitterness we want in an IPA, but in a smaller, more sessionable body? Apparently there is and Founders figured it out with their fairly new “All Day IPA.” There’s an interesting combination of tropical fruit flavor, along with a hint of garlic and some pine. The bitterness isn’t too strong, but it certainly is noticeable (42 IBUs according to the bottle). There’s an ubiquitous earthy/piney character making it rather complex as far as the hop profile goes. Not much in the way of malt, though, just a standard pale ale base without much sweetness or distinct character. The mouthfeel is on the thinner side with a smooth finish and relatively clean aftertaste. At only 4.7% ABV, this is one of the few IPAs you can drink in large quantities without getting bored or overwhelmed. I think Sam Adams Noble Pils deserves a spot on the list and have to disagree with your choice for the #1 spot, my first thought upon drinking it was this is water with hops added to it...I found it repulsive! according to ratebeer, Noble Pils is 5.24% and wouldn't count towards this list. Try Troegs Sunshine Pils.